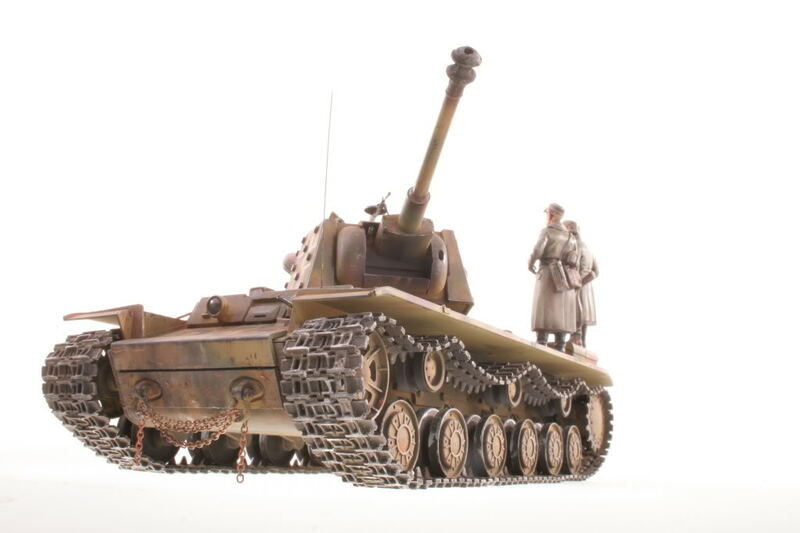 This model represents a Panzer KV-1 735(r), 22 Panzer Division, Russia, 1943. 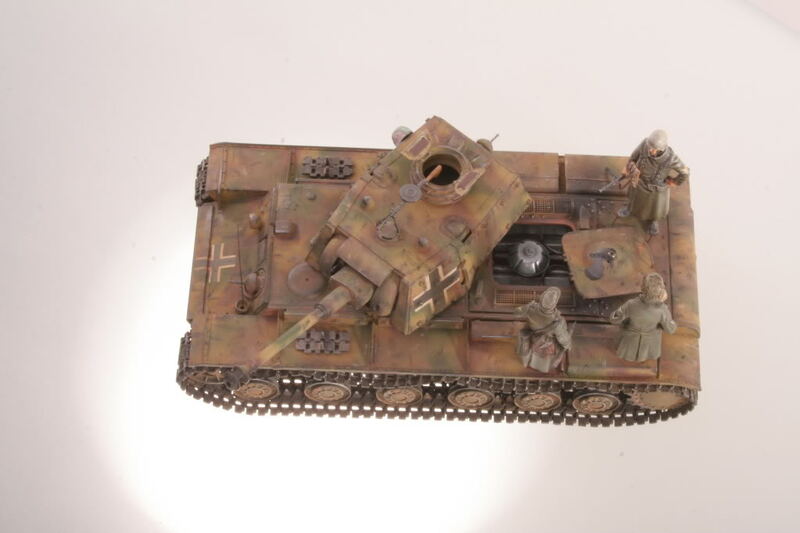 The kit: old Tamiya kit with additional super-detailing, engine and compartment from Verlinden Productions, Model Kasten tracks, panzer IV commander’s cupola and gun from spares box, hand-painted crosses. 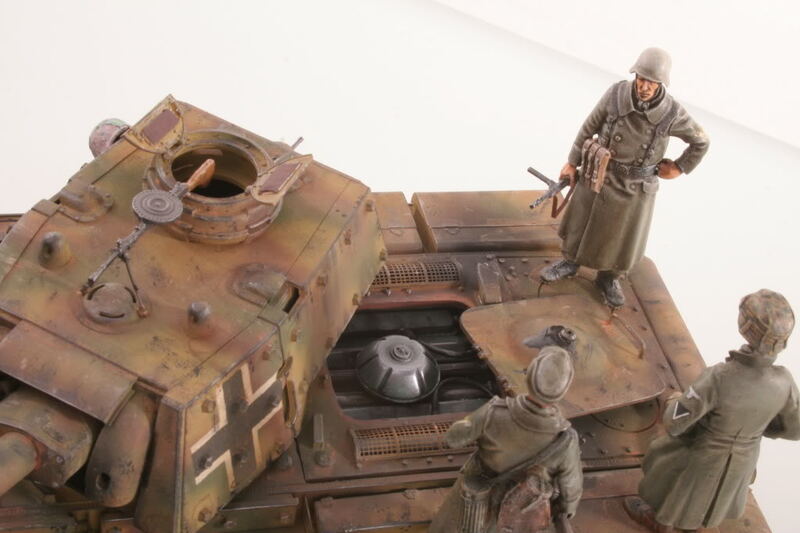 Finished in Tamiya acrylics. Lovely work my friend. 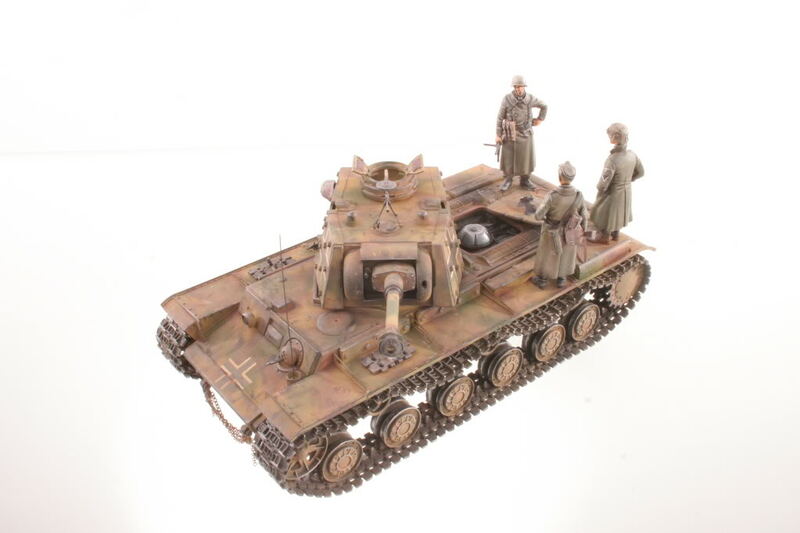 The tank is great but your figure painting is really excellent. Wow, what a nice setup, well done. Great work! you should add terrain!